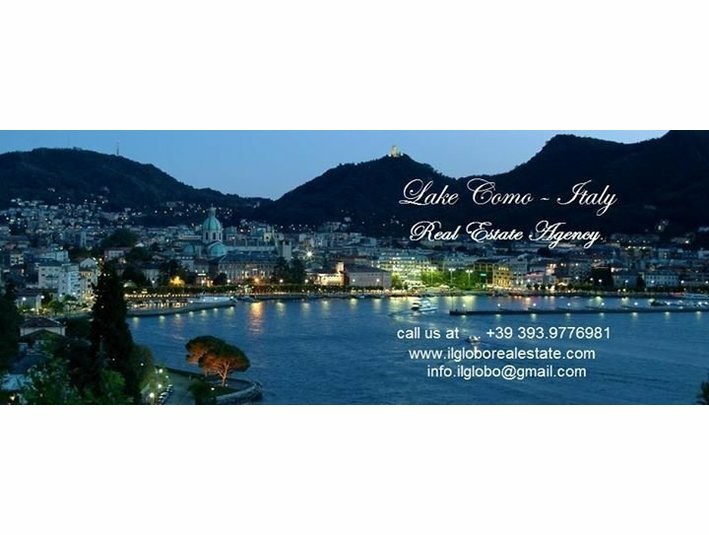 IL GLOBO Real Estate agency is independent, officially registered company that does not relate to any type of franchise, and is specialized in careful selection and sale of elite residential properties and commercial projects located in prestigious areas of Como lake, Campione d’Italia, as well as architecturally unique high-end property with special design and rare infrastructure in Italy. Our agency is registered in MB Chamber of Commerce (Monza-Brianza) under the registration number 14481. Our agents are fully licensed and authorized to carry out all the necessary real estate operations in Italy. Real estate agents are protected by Italian legislature, according to the law passed on the 3rd of Feb. 1989, ministerial decrees issued on the 21st of Dec. 1990, n 452 and on the 26th of Oct. 2011, as well as the Government Circular 3648/C. Regulated licensing system established in Italy permits only the qualified specialists to perform activities of the real estate agent. Realtors have all necessary qualifications to ensure the accuracy of transactions and legal protection of the clients. The membership of the Professional Registry Agents and the patent issued by Italian Chamber of Commerce prove the broker to be the real estate agent and permit them to receive commission for the property transactions.